Use hot water and restaurant crystal clean to get the best results. Leave water in the glasses overnight if you're washing them the next day, this should hopefully loosen up any leftover wine. Be careful not to twist as you wash and dry it, this may result in breaking the glass. 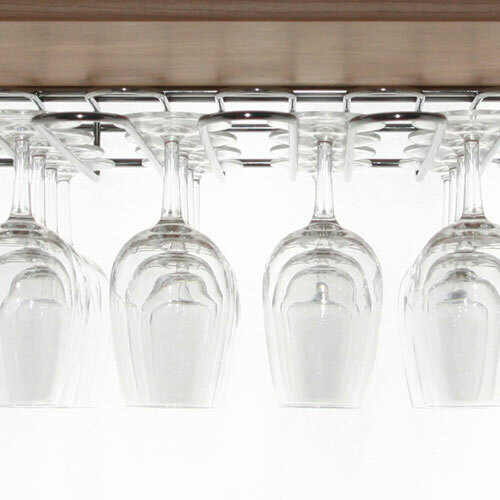 It's essential to clean wine glasses after use, whether its three hours after the event or two days later. 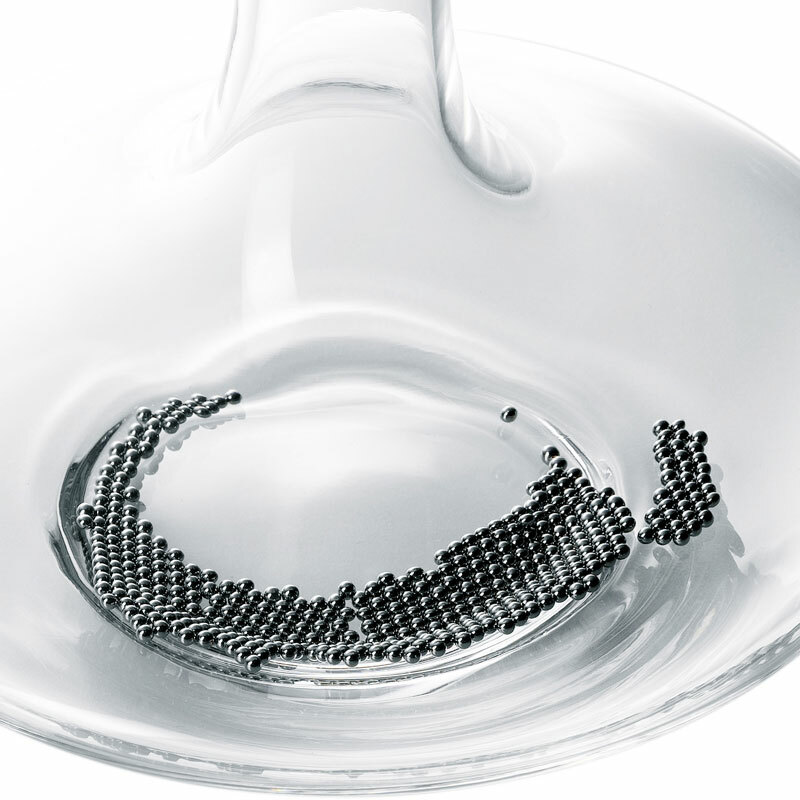 Fingerprints, leftover wine and marks can spoil fine wine glassware if left for a period of time, therefore they require special care and attention. Below is an easy to follow step-by-step guide on how to clean glassware using restaurant crystal clean glass cleaner and a handy cleaning brush. This cleaner is also suitable for decanters and other glass items. 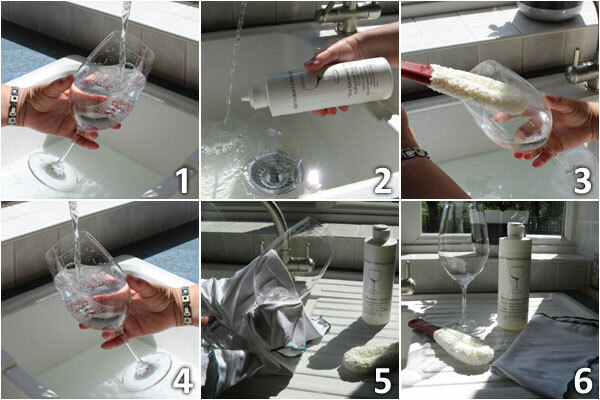 Wine Glass Cleaning...the do's and don'ts! 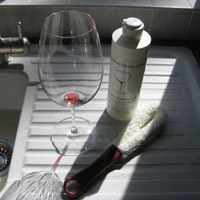 Use a specialist glass cleaning brush (without hard edges) and glassware cleaning liquid. How do I clean a wine glass? 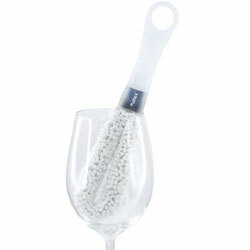 Most wine connoisseurs and enthusiasts will agree that crystal stemware should be washed by hand using hot water. This is the best and most reliable way to thoroughly clean your glasses and prevent the risk of damaging. Rinse the glassware in hot water to remove any leftover wine or sediment. Add a couple of drops of restaurant crystal clean to your bowl/basin of hot water, or alternatively use a drop of restaurant crystal clean per glass. Using a cleaning brush (usually a sponge), clean the glass (the bowl, legs, base etc.) Tip: hold carefully at the bowl to avoid breakage. It is best not to hold by the stem, as this is often the most delicate part. Rinse inside and out with hot water to remove any cleaner. 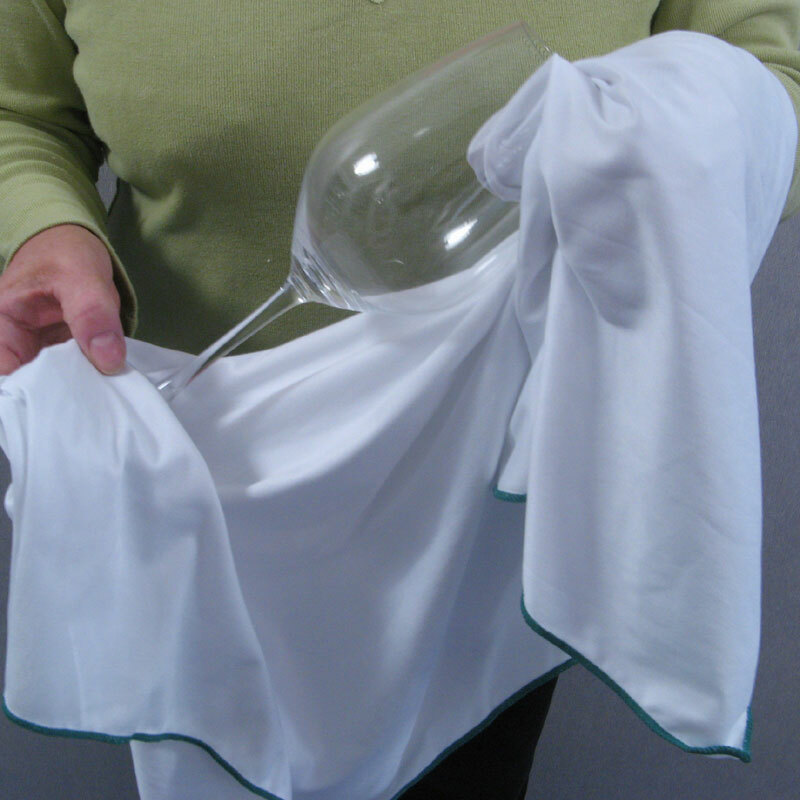 Use a cleaning cloth to dry your glasses. This also removes any water marks and creates a crystal clear finish! Now all that is left is to pour a glass of wine! If you would like to achieve high-quality results when cleaning your glassware then try our Restaurant Crystal Clean. This is one of the most popular glass cleaning products and is used around the world by bar and restaurant professionals. It is made from entirely natural ingredients, is biodegradable and provides crystal clear results. 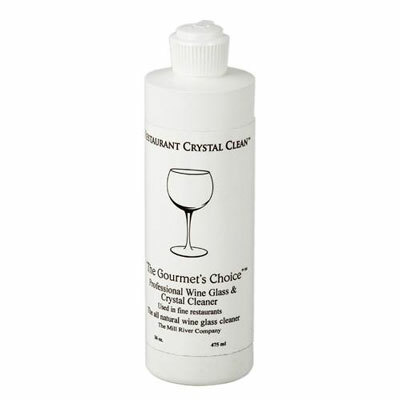 One bottle (16oz/475ml) will wash over 2,200 wine glasses! 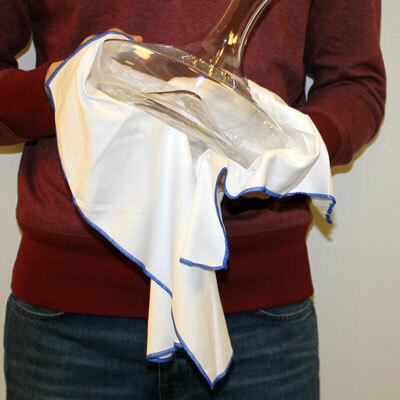 Provide your wine glass with the ultimate aftercare!